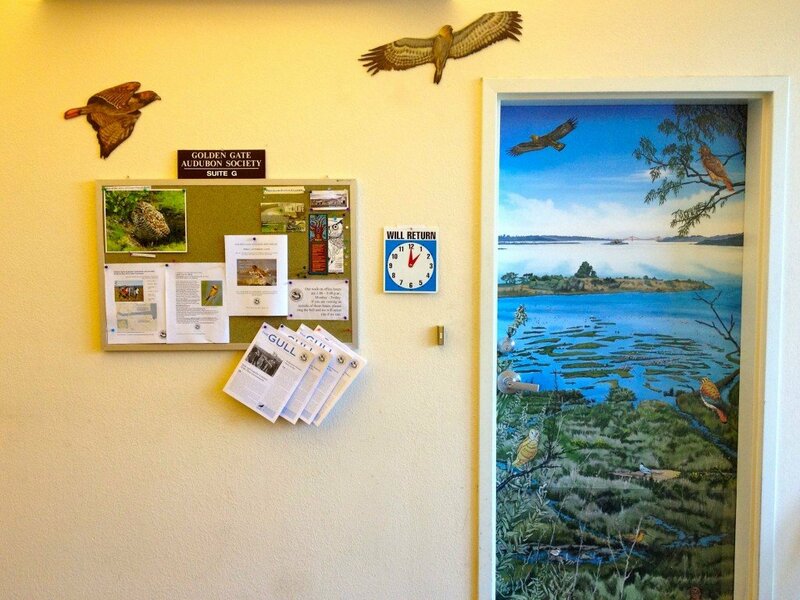 The Golden Gate Audubon Society just had a muralist create this gorgeous bird painting on their door, as well as running… or, actually, flying down their hallway. Communications Director Ilana DeBare posted a series of photos of the mural in progress from bland beige door to SF Bay landscape. Of special significance are the depictions of seven species that GGAS has defended. Inspiring!